Fashions from the 1930’s are a challenge. For a long time, I assumed that most people dressed in hand-me-downs, like the orphans in the Annie musical. Turns out I was totally wrong. 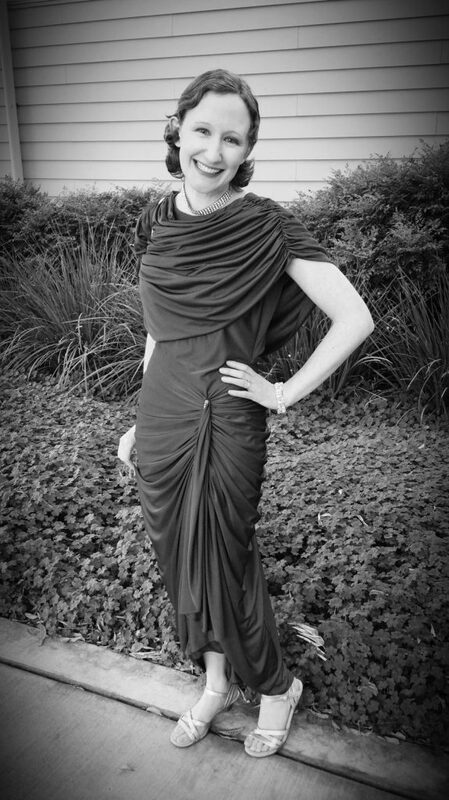 Times were tight, but there were some fabulous fashion statements made in the 30’s! 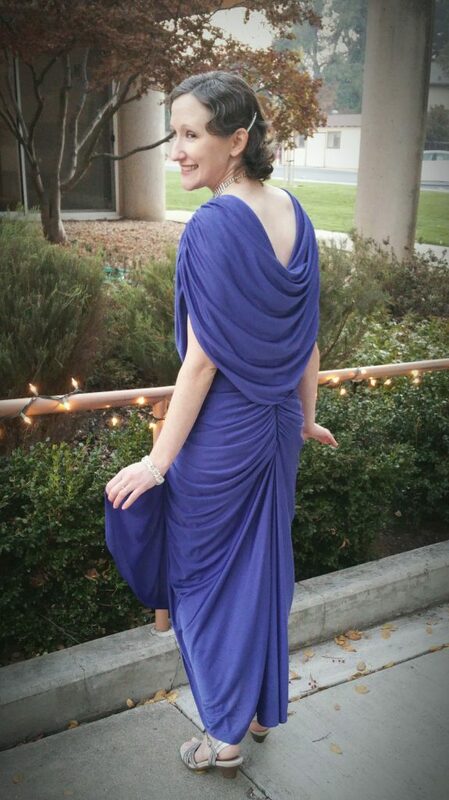 The drapey, “Grecian” vibe coupled with the midi length and rhinestones made me think 1930’s Hollywood! 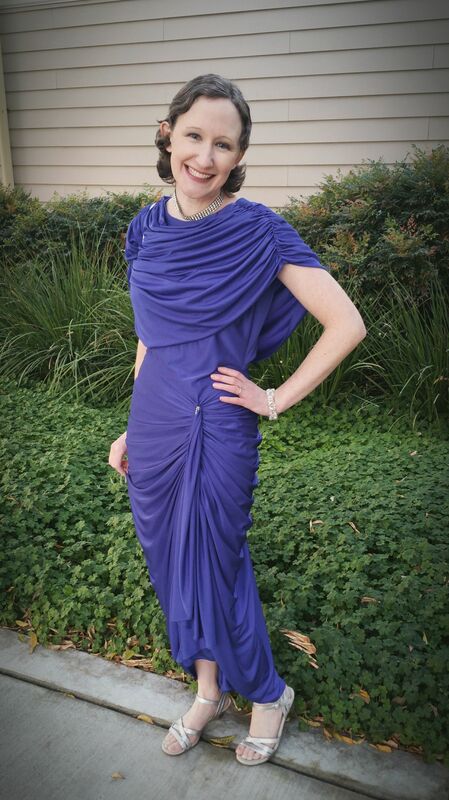 Although the dress probably originated in the 1980’s, I had a hunch that the right accessories, makeup, and hair could take this dress back in time! Before leaving the thrift store, I snagged a rhinestone choker that nicely coordinated with the rhinestones on the dress! Next, I researched hair and makeup trends from the 1930’s. 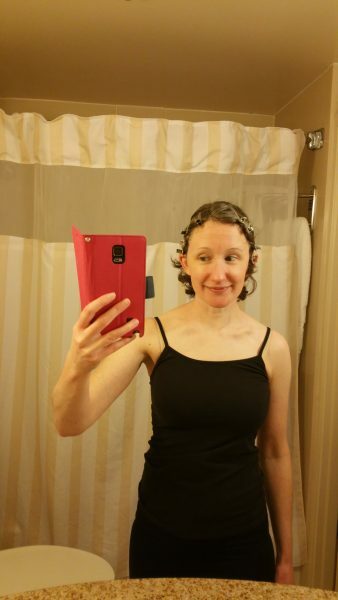 Thanks to the Youtube experts, I was soon experimenting with finger wave techniques! I most closely referenced this video , but I would love to try the technique in this more historical tutorial! Here I am in action! I practiced the style several times to get the hang of it and experiment with what worked best with my face shape. I was assisted by the short length of my hair and the fact that it waves/curls/(frizzes) naturally. On the day of my dress-up event, I was ready! Here are the supplies I used. As in the Youtube video, I created a side part and sectioned off the front portions of my hair. I wet each section and worked in some of the design lotion before starting on the wave. I coaxed each section into an “S” shape, securing the curves of the S in place duckbill clips. Since my hair curls naturally, I used the DivaCurl cream to help the back of my hair curl by itself. 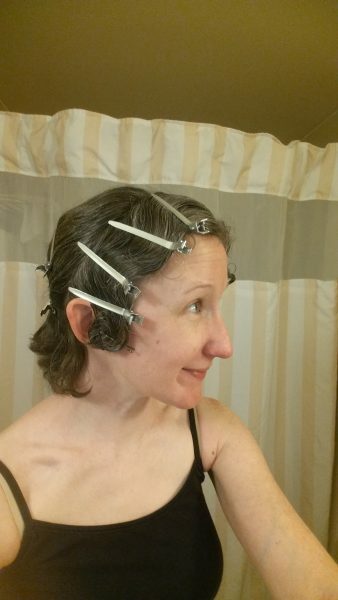 (Another option would have been to pin curl the back.). 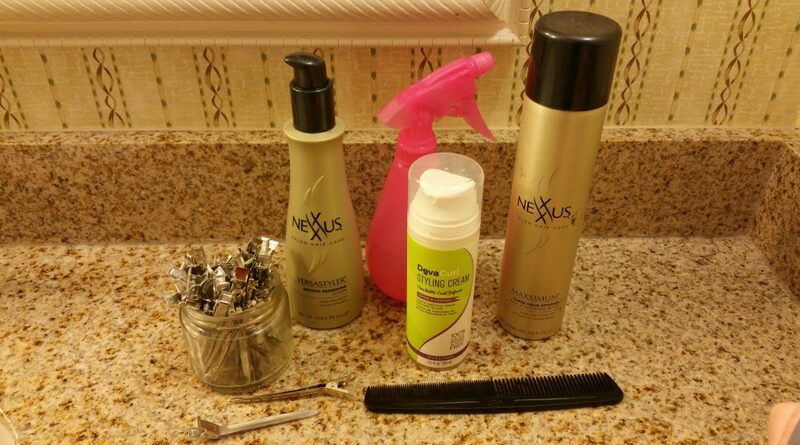 I finished the style with the Nexxus hairspray. 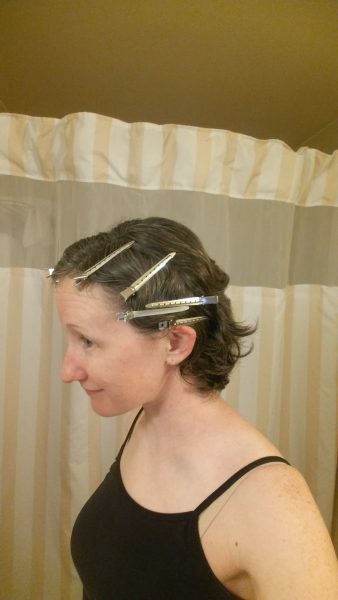 In addition to the duckbill clips, I used bobby pins to create a small pin curl at the end of the longer section of hair. I tucked the ends of the other section behind my ear. 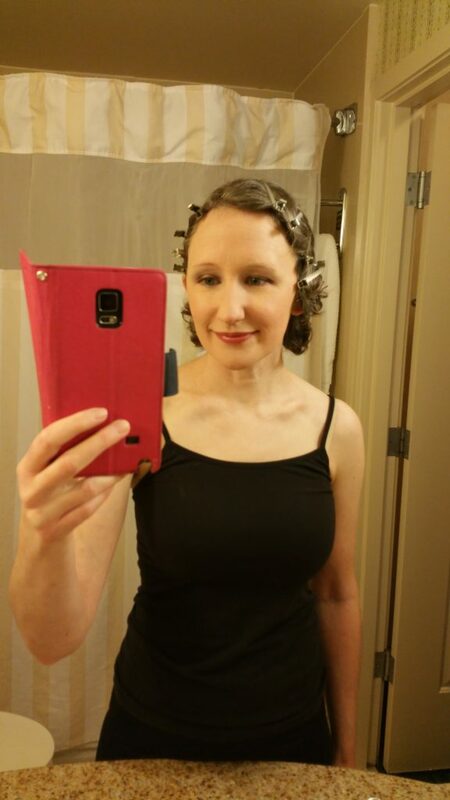 I can’t seem to find the Nexxus design lotion any more, but many bloggers really love Lottabody’s setting lotion for finger waves and pin curls! Apparently, it’s been around for ages and is perfect for these processes! Here are a few of my other supplies. For 1930’s makeup knowledge, I turned to one of my favorite Youtube makeup artists and her tutorial here. I tried to use similar eyeshadow tones, except I also added silver and black. 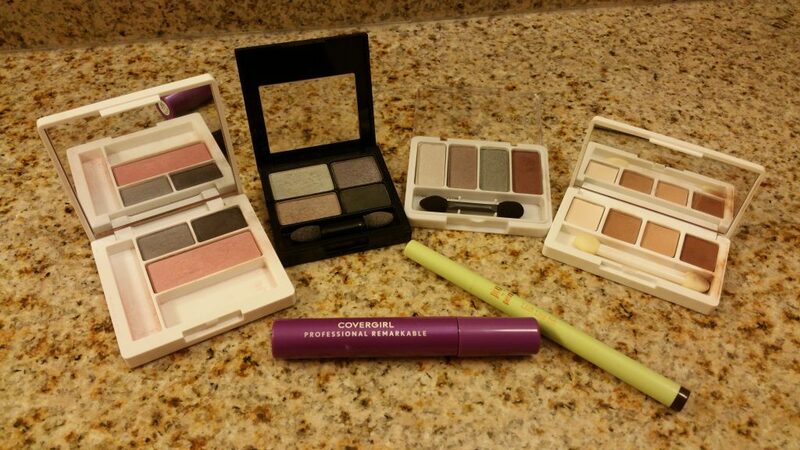 It’s not shown in the picture, but I definitely used eye primer to keep all that makeup in place. I also attempted to replicate the foundation and contouring shown in the video. 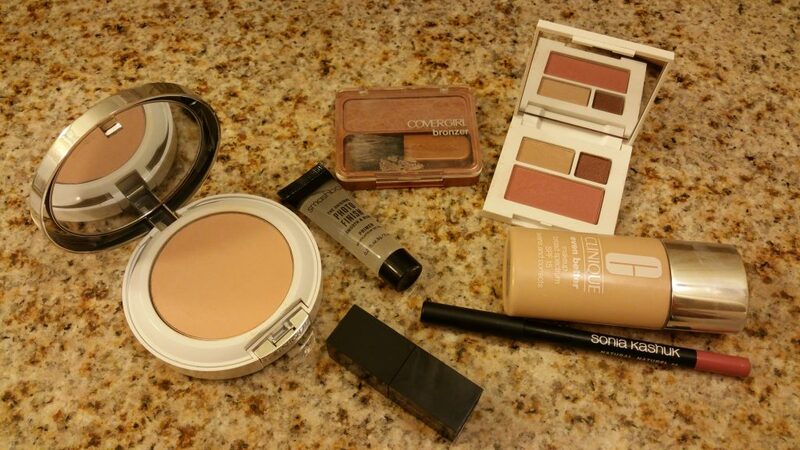 Primer and powder were super important to setting the look. 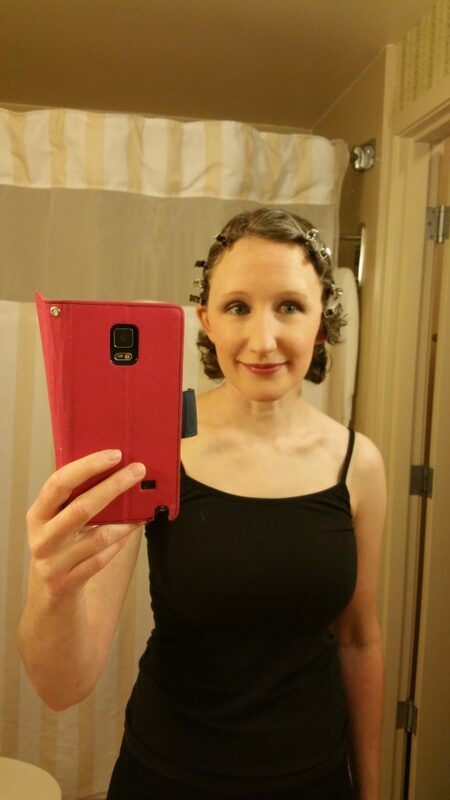 After letting my hair dry for about an hour and a half, I was ready for the 1930’s! 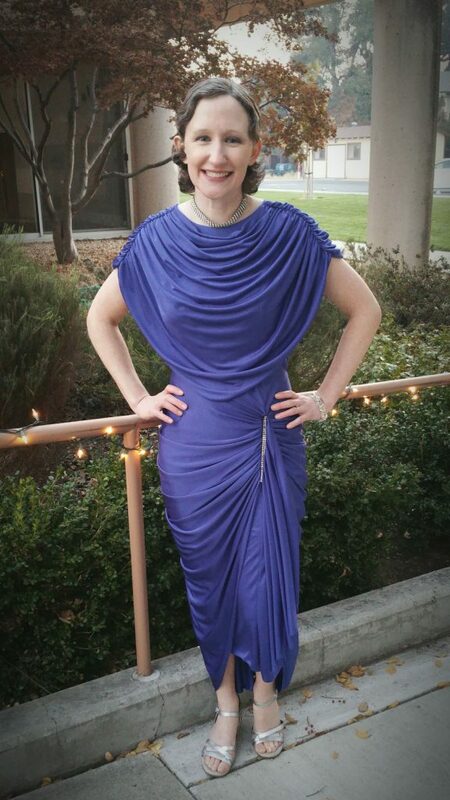 My outfit got its chance to shine at a friend’s wedding! 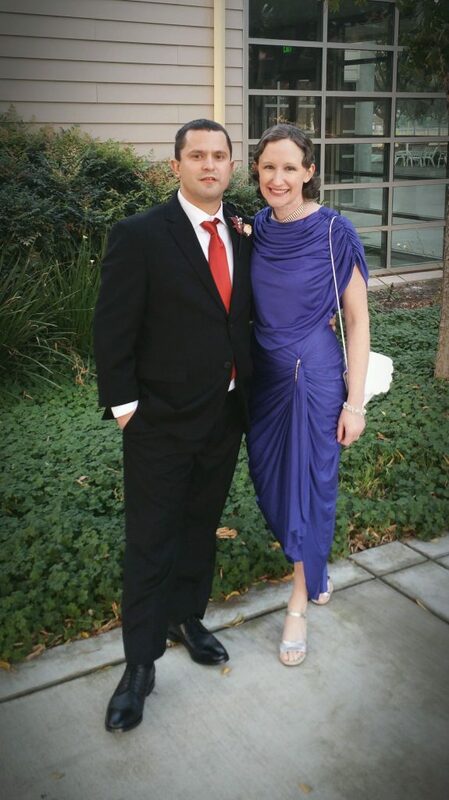 My husband was in the wedding party, so he dressed up all snazzy too! All the time you spend researching an unfamiliar decade and practicing new hair-do’s can totally pay off. 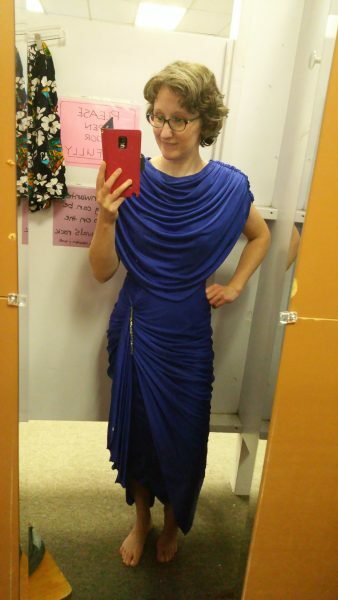 If a thrift store dress calls your name, give it a try!